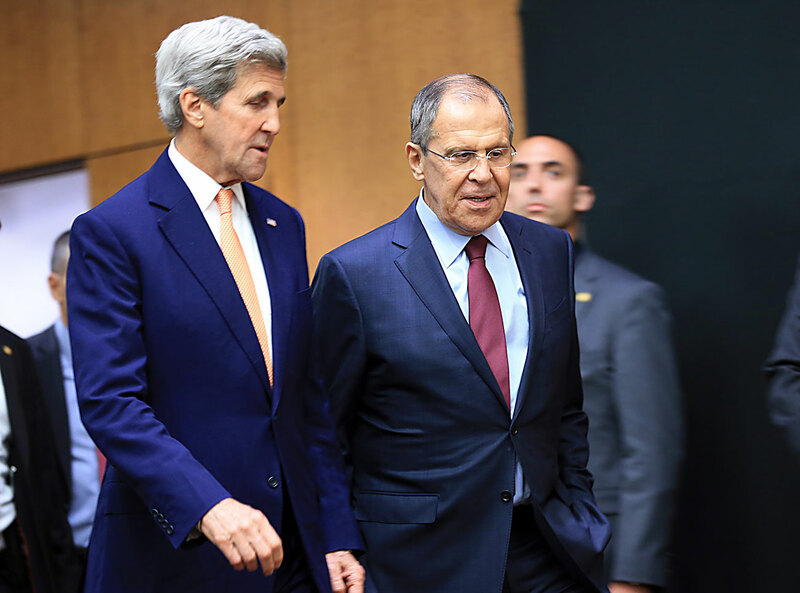 U.S. Secretary of State John Kerry and Russian Foreign Minister Sergei Lavrov arrives for a news conference after a meeting on Syria in Geneva, Switzerland, Aug. 26, 2016. Moscow and Washington have reached an understanding on a majority of issues concerning Syria, Russian Foreign Minister Sergey Lavrov said on Sept. 2. He noted that daily contacts between the Russian and U.S. diplomats, military and intelligence agencies continue "to develop this algorithm (of the fight against terrorism)." The minister added that this work will be completed before long. "Virtually all components of this task are already clear, an understanding has been reached on most issues," he stated. "The most important thing is that any agreements with the Americans on practical actions, on coordination of operations against terrorists will not be implemented if our American partners do not keep their promise to dissociate themselves from terrorists, above all, the Jabhat al-Nusra (terrorist group banned in Russia)." "Many of the groups considered acceptable by the U.S. have actually affiliated with Jabhat al-Nusra, while Jabhat al-Nusra is using them to avoid being attacked," Russia’s top diplomat explained.